Kirtipur is one of the four major cities in Nepal. It’s an old city, and not as busy as the other three cities. 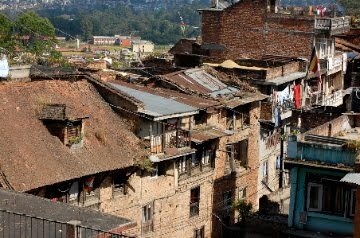 The majority of the people living here are the Newari group. The only modern thing you would see in the city were the cars and buses passing through the city. Otherwise, people lived life there as they did a century ago. 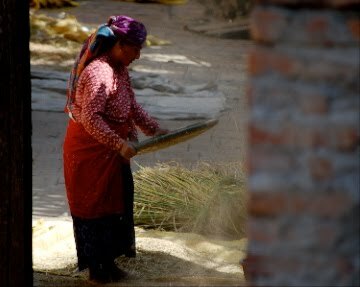 Woman separating husks from rice grains.